Set of 12 colourful card paper photo accessories on a stick. 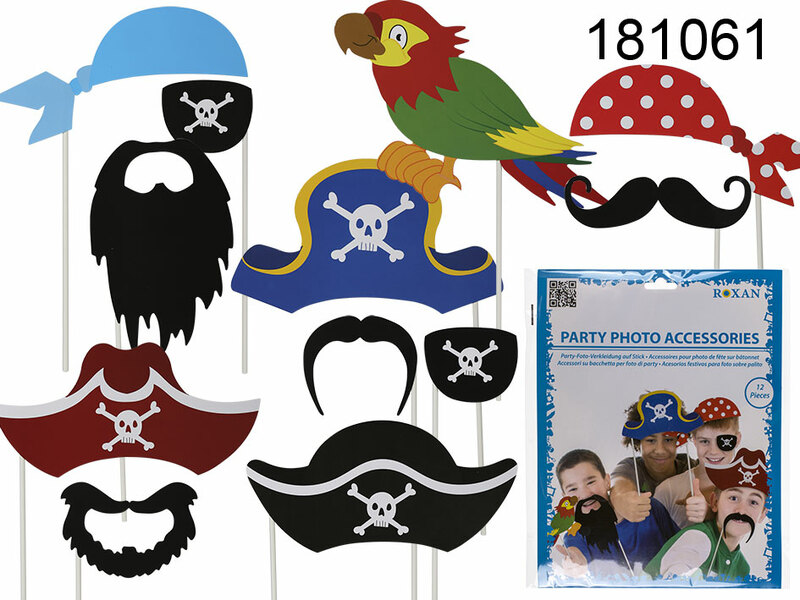 Pirate hats, mustaches, parrot or an eye-patch. Perfect for photo shoots, hen or stag night parties, New Year's Eve Party, wedding receptions, and birthday parties. Dimentions: 30 x 23 x 2 cm.